Cyclonic unit processes are the core of the Compact Separation System (CSS) design. These technologies minimize size and weight of the modules, while providing process flexibility, resistance to facility motion, reduced chemical use, and simpler transport and load-out. A staged approach combining discrete solid-multiphase, gas-liquid, liquid-liquid, and solid-liquid systems provides building blocks for fit-for-purpose designs. Compact Separation Systems are particularly well-suited for Early Production Systems (EPS), Extended Well Test (EWT) packages, and subsea processing. 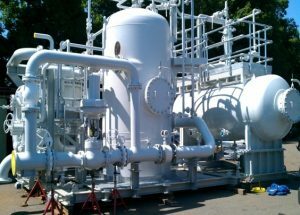 Partial processing is a methodology to apply CSS design to existing (brownfield) process facilities, and is particularly well-suited for gas or liquid debottlenecking.